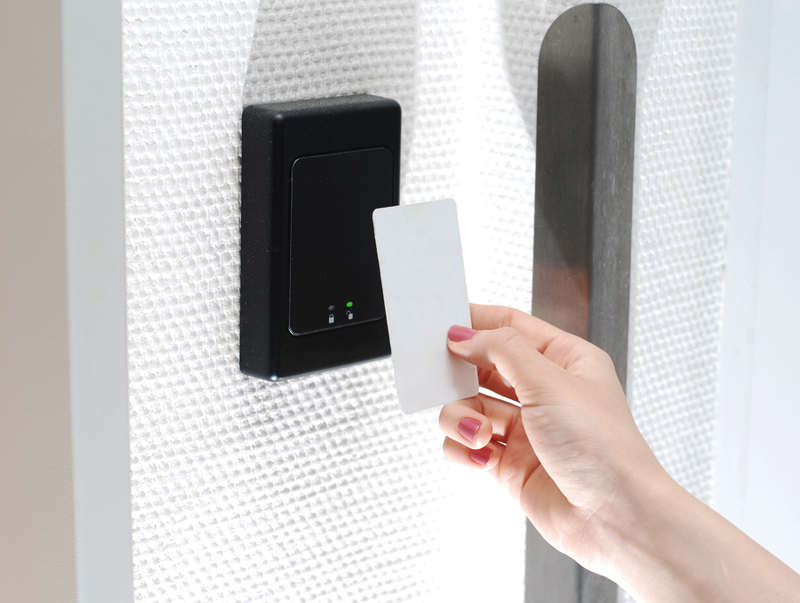 The most sophisticated door access control system you can install for you office nowadays is the biometric door access, which uses the measurements and statistical analyses of the physical and behavioral characteristics of authorized personnel. Although the card access door and the pin access door system are still considered more secure than traditional locks, this type of track access entry can be integrated with other modern systems for improved security. Here are some of its advantages. Not only is a digitized door access system an effective crime deterrent and a secure access solution for glass doors, but it can also be used to monitor office activities in Singapore such as employee attendance, access to restricted areas, collection of evidence in case of incidents, and record-keeping. The beauty of the door access system lies in its accurate collection of information and authentication. First, it uses the preset data which is the information recorded from the authorized personnel, and the data from the visitor/owner which will be compared to the preset data. Authentication is successful is the two sets of data are nearly identical, but it also gives a leeway for small deviations in case the real owner of the thumbprint biometric has sweat on the fingers or if the real owner of the facial biometric has put on makeup or shaved the eyebrows. 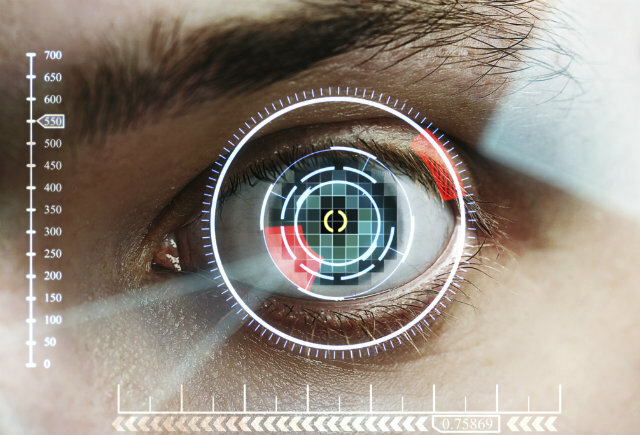 What’s great about biometrics is that it can be integrated with your existing CCTV camera systems and intercom system to make verification and security coordination more efficient. 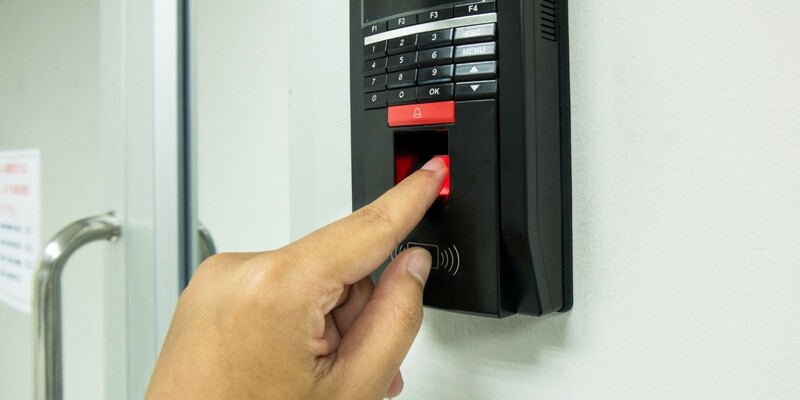 If your intercom solution is used only for reception and inter-floor surveillance, you can get more from it through identification using a security camera and an additional software for the biometrics. Even small offices can benefit from this simple setup. An analog camera can also work with a basic intercom system if you just need to monitor who goes in and out of the office. Position the analog camera near the access system to provide more security. For larger buildings in Singapore, however, advanced hardware and software from a good IP camera company can provide better security. You can upgrade your CCTV or security camera to an IP camera to enjoy the benefits of a digitized surveillance system. In this setup, the IP camera records footage and transmits the information through an IP network, thus the name IP CCTV. Unlike traditional video surveillance, IP CCTV has better quality and improved transmission. These advantages provided by the IP camera system can greatly improve crime and activity monitoring in the vicinity. Additionally, a digitized surveillance can easily be integrated with a digitized version of the intercom, SIP intercom, which also uses the IP network to record, transmit, and store information. Biometric door access is the best door access control system for large complexes and public buildings in Singapore because it decreases the time needed for verification, minimizes the instances of false negatives when identifying people, and it cannot be faked, bypassed, or copied as easily as number and codes in other security systems. Fingerprints are unique to each person, even among twins, which is what makes the thumbprint biometric more effective than a personal information number; while the structure of the face is also difficult to recreate, which makes facial biometric ideal for surveillance of large crowds in public spaces. What Should You Do When Your DIY Pest Control Goes Wrong? Is it Normal to Like Gross Stuff?